Kee kee whistles pierce the quiet forest at dawn, jakes add an edge to these wake-up sounds with their coarse yelps and broken gobbles; putts, clucks and agitated purrs contribute background music to this sunrise symphony. Mature hens sound off with long, rhythmic series of yelps to pull the flock together. This vocal performance takes place at a fall flock roost site and these calls they make are the calls of fall turkey hunting. Information about fall turkey hunting is not readily available. Many of you have proven fall strategies and favorite calls. But for those hunters who have recently decided to extend their turkey hunting into the autumn woods, we offer the following suggestions on which types of calls work best on turkeys in the fall. 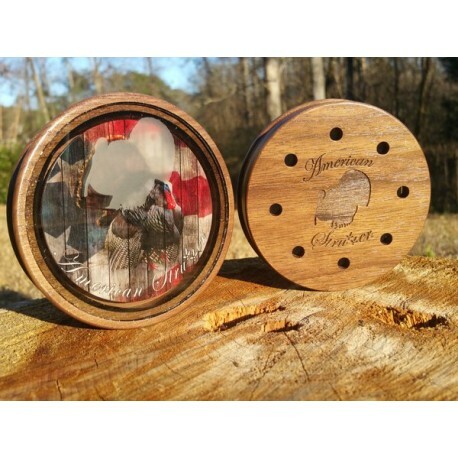 MIDWEST Turkey Call Supply stocks several CDs and DVDs that help learn and understand the calls listed below. 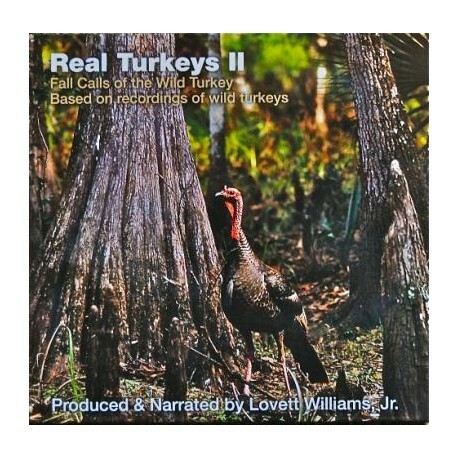 Real Turkeys 6 CD features live recordings of various fall calls of poults, hens and gobblers. Lovett Williams Jr. supplies narrative to help understand the calls and when to use them. 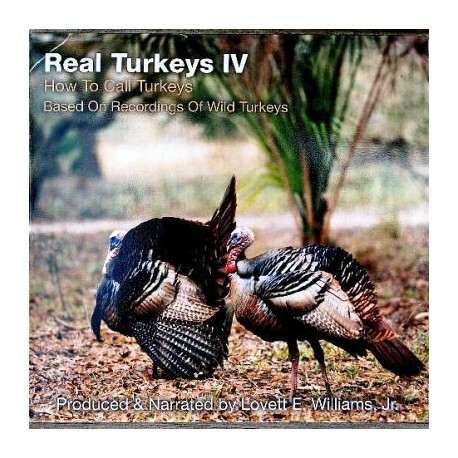 In his DVD 'Fall Turkey Hunting' Denny Gulvas films and records close-up footage of a variety of fall turkey groupings as they come in to the caller. 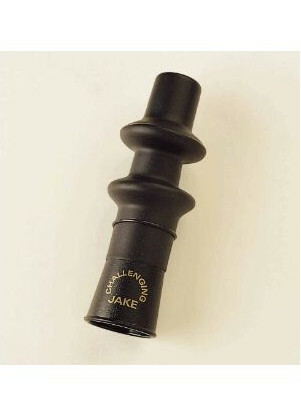 Gulvas provides insight into the calls they are making and how these calls are important in each hunting situation. Ray Eye in his DVD, Boys of Autumn, gives information about Fall Hunting and Calls. 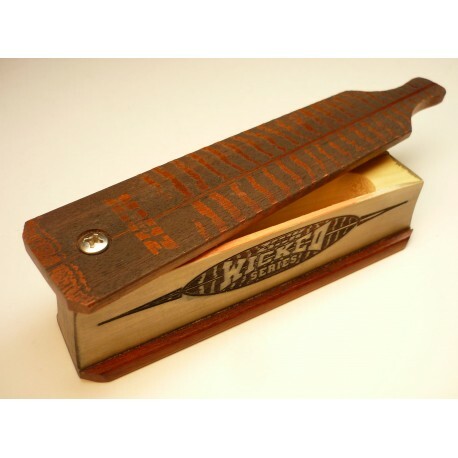 The whistle of the lost poult or kee kee call is made by the young of the year. It is often a seven-note call, first three notes, than a short pause followed by four more notes. As the poults mature, particularly jakes, 3 or 4 yelps are added to the end of the whistle series. With yelps added it now becomes the kee kee run. The kee kee is often made by poults that have been separated and are seeking to regroup. It has an urgent, pleading tone. 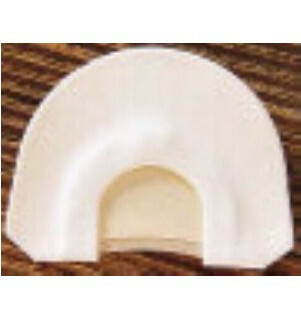 Many fall hunters prefer the diaphragm to make the kee kee call. 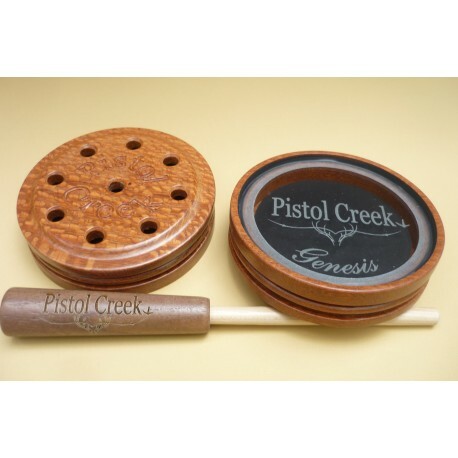 Double reed calls with thin latex work good. Side notches add a touch of rasp to the yelp. The 'ghost cut' design (U-shaped center cut) also makes a good kee kee. 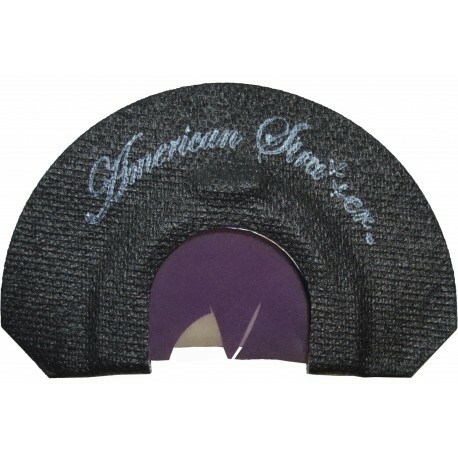 Check out our accompanying fall diaphragm selection. Your slate, glass or aluminum is capable also. 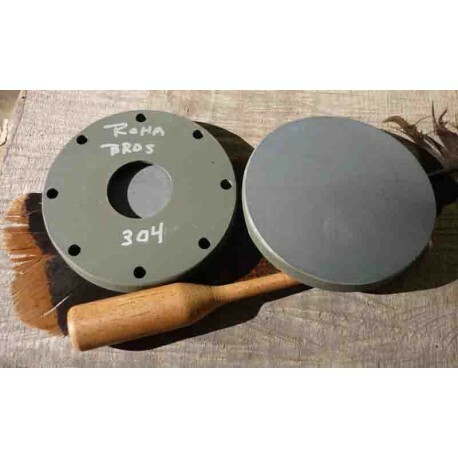 Holding your striker slightly more vertical, follow the circle of the pot's rim, about ¼ inch in and use ½ inch strokes. Vary the pressure on the striker to find the right high pitch. The tube and snuff can callers also make super kee kees, kee kee runs, lost hen yelps and even gobbles. This caller is a favorite for calling to jakes in the fall because it can break off easily to coarse yelps following a series of kees. 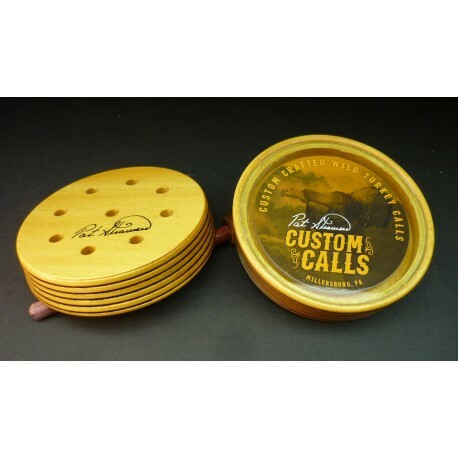 Calls in this category include Hunter's 'Addiction Walnut Tube Call' and other tube type callers. 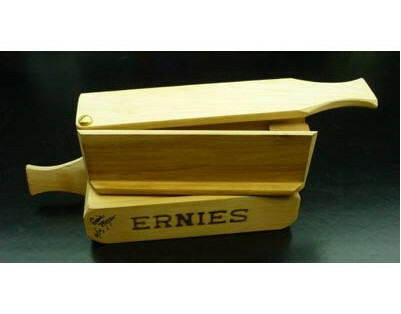 Some box calls also make good kee kees. When running the paddle across the soundboard, stop short of the point where the note breaks to a lower tone. Then repeat this stroke in the three plus four note series. Kee kees are useful calls right after breaking up a flock and also work in a walk and call hunting situation throughout the day. Start your calling soft and gradually increase volume until you get an answer. Then match the tempo of the calling bird. Yelping is the foundation of spring turkey hunting and it is also important in the fall. 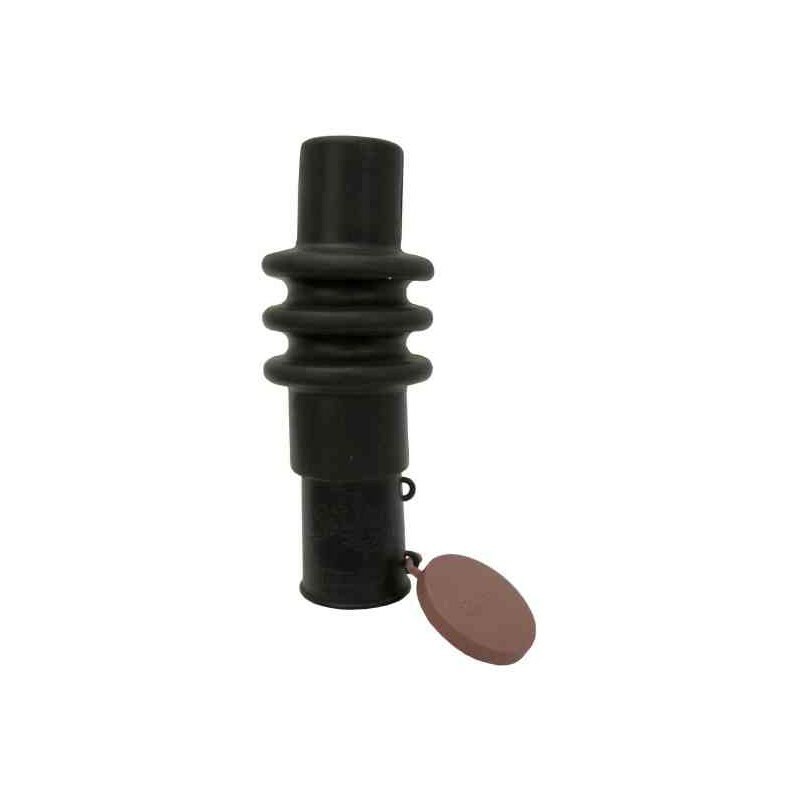 Box, slate, diaphragm tube or suction yelper – all of these yelping devices will work in either season. Fall calling simply requires a different attitude to the note. To add a particular attitude or inflection to the yelp, put yourself in the turkey's position. Have you ever felt the sudden panic of being 'turned around' in the woods? 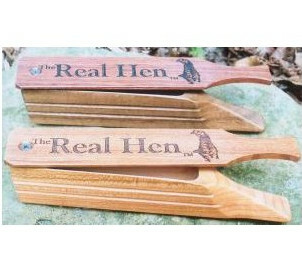 For hens and poults the protection of the flock is critical. Separation is a crisis condition. To be convincing add urgency to your yelping. The 'Lost Hen Yelp' is a long series (8-30 yelps) made by a lone bird seeking to get back into the security zone of the flock. The series may be loud, but more often it is a medium volume series, rising and lowering in volume and intensity. Try turning in position as you make this call to simulate the lost hen, pivoting her head to scan the forest as she calls. The 'Assembly Yelp' is also a long series but the attitude is different. The urgency is still there as the adult hen attempts to reassemble her flock after a breakup. There is a little panic too, but the maternal hen's assembly yelps are more like a command for the flock to return to her. If she is near to your set-up, her poults will return to her calling rather than yours. One option is to get up and run her off, then call to her nearby poults, sounding as much like the brood hen as possible. The second option is to challenge the brood hen with calls like hers, increasing in volume and tempo as the challenge escalates. It may become a cutting and yelping match with her coming in after you. 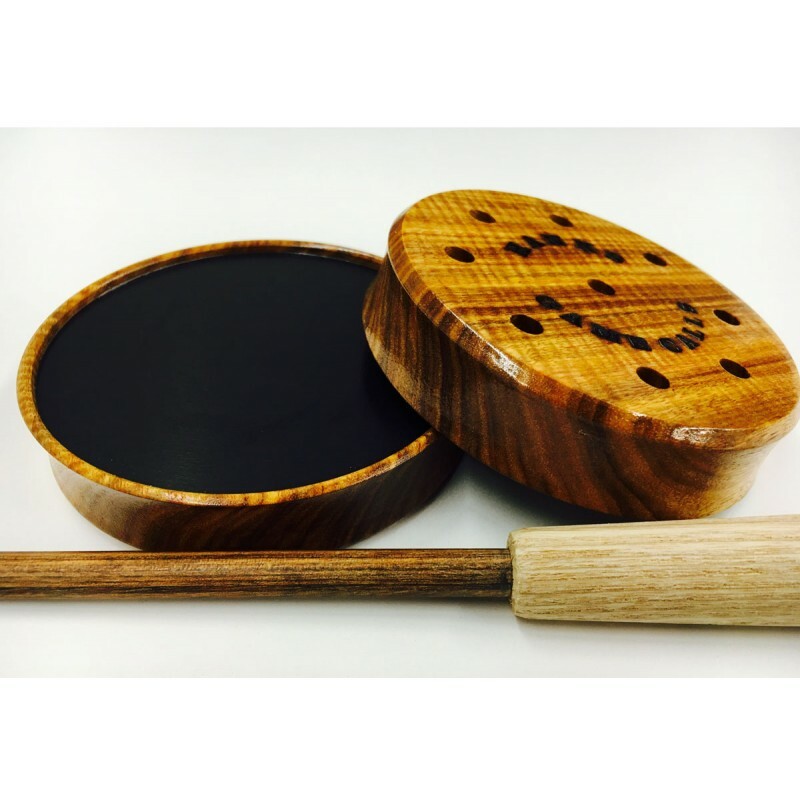 Best callers for the assembly yelp are diaphragms with cuts that increase rasp and deepen tone (a half moon or split v cut will work) or a raspy slate or box call. If you are committed to harvesting a gobbler or a jake, concentrate on scratchy, coarse tones in your calling. Decrease the frequency of calls and slow down the tempo. Gobblers call less in the fall. If you bust a group of gobblers, set up and call immediately. They sometimes come right back in, but often do not regroup for hours. The patient hunter may wait them out, calling occasionally on a raspy slate, box, diaphragm, coarse scratch box or gobble call. Make one or two yelps or clucks every 15-30 minutes. Stay alert for the gobbler often comes in silently, and watch out for stalking hunters. A blind such as the Primos 'Stake Out Ground Blind' will help conceal your movements. Crews of year and a half old jakes often roam the woods together at this time of year. If you are the type of hunter that likes to run ridges and call often, hunting these jakes can be fun. They are vocal, territorial and often careless with curiosity. At each stop or set up cast out coarse yelps, clucks or kee kee runs. 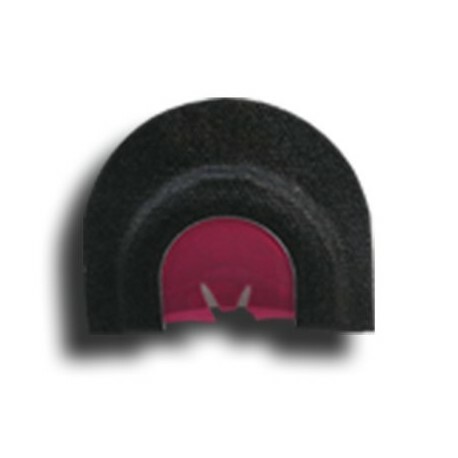 The 'ghost cut' diaphragms, such as Cane Creek's Lost Poult or Legacy's Real Dill work well. The fighting or agitated purr is often used successfully for hunting jakes and gobblers in the fall. This call is a combination of cutting and purring – cutting because the note is harsh and loud, and purring because the notes are a continuous run. 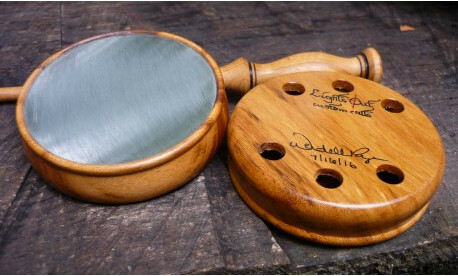 A slate or glass call will give these sounds by applying more pressure on the striker. 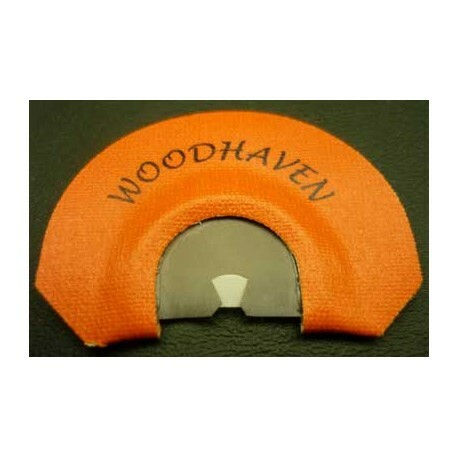 Run the striker closer to the center of the slate where tone is deeper. Two push button calls combine for the same effect. And an occasional gobble may add to the realism of the fight. Lay on the volume because a gobbler fight is a noisy affair. Some hunters carry and use turkey wings to increase the effect by clashing them together and smacking them on trees or leaves. This tactic is similar to using rattling horns for whitetail deer. Once again be watchful of approaching hunters who may have been fooled by your calling. Fall turkeys become more cautious as the hunting season progresses. They do not regroup as quickly and become less responsive to aggressive calling. Sometimes birds stay scattered, and approach each vocal encounter more carefully. 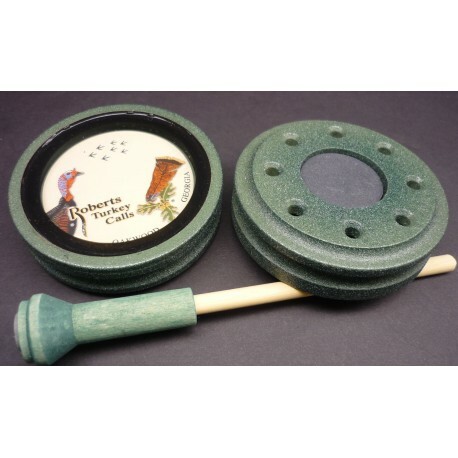 At this time clucks, purrs and soft yelps, made on a slate, diaphragm, box or suction yelper may be most effective. As the lone turkey that has been separated for a period of time, seeks to regroup in the later season; often one soft cluck or yelp is all you will hear. Answer with the same call and be ready because this bird will often stop and look at 30-40 yards and come no closer. As in spring turkey hunting, patience and determination are important to success. Always be certain of your target and the area close beyond it. 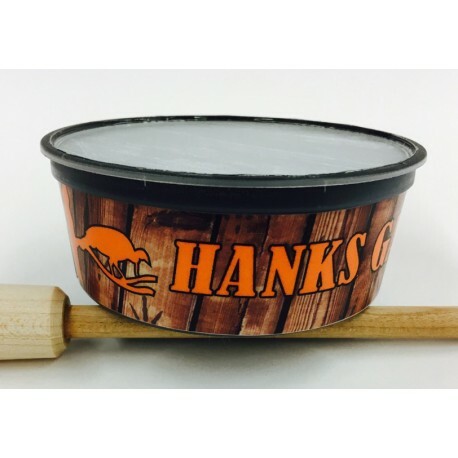 Copyright © 2017 Midwest Turkey Call Supply, All rights reserved.